Oxford’s graduate courses are high quality and shorter than in many countries, facilitating your swift career progression. Our approach to graduate study places an emphasis on your ability to work independently, while supported by an outstanding academic community. As a graduate student at Oxford you will belong to an academic department or faculty. Your department or faculty will provide your teaching, supervision and numerous resources to support your studies. Each has its own academic community, dedicated to advancing knowledge in particular subject areas. Departments often work together running joint courses and interdisciplinary research projects. Whether you are taking a taught course or studying for a research degree, you will have an academic supervisor who will provide guidance and advice throughout your course. Where possible your academic supervisor will not change for the duration of your course, however in some circumstances it may be necessary to assign a new academic supervisor before registration or during your course of study. All graduate students at Oxford are also members of a college or hall, except those taking non-matriculated courses. Within your college or hall you will have access to a college adviser. This will usually be a senior member of staff who is able to offer support and general advice on academic issues. The University will seek to deliver each course in accordance with the descriptions set out in the relevant course pages and the corresponding “Course Information Sheet”, which is sent to applicants with their offer of a place. However, there may be situations in which it is desirable or necessary for the University to make changes in course provision, either before or after registration. For further information, please see our page on changes to courses. Students enrolled on full-time courses are subject to the University's residence requirements, which are set out in the Examination Regulations for each course. Students studying for part-time courses are exempt from these residence requirements. Oxford’s taught courses usually lead to a master’s or master’s-level qualification. A full-time course typically lasts between nine and twelve months, although some degrees take two years to complete. We are proud of our close working relationships between supervisors and students, and the small group teaching on our taught courses. Students on taught courses study a range of core and optional courses, supported by lectures and seminars. Work is usually assessed through a combination of coursework, written examinations and a dissertation. Some taught courses prepare students for research degrees where the master’s is a prerequisite for progression; others are more oriented towards a particular profession. If you are interested in more general guidance on choosing a taught graduate course, the Steps to Postgraduate Study website is an external resource that has been designed to help you identify the right questions to ask when you are deciding what and where to study. This course is of a higher standing than the Master of Studies (MSt) and full-time study normally lasts for two years (six terms). In the first year, some of the course elements may be common with the MSt and at its end candidates may be required to pass a qualifying test before continuing. Some MPhils are organised so that the first year is taught and the second is predominantly research based. In the second year students are expected to complete a substantial dissertation (usually up to 30,000 words) and to sit written examinations. Students studying full-time are normally required to undertake three terms of study followed by an examination. The exact composition will vary according to the course, but will usually involve a range of core and optional course elements often including research methods and the submission of a dissertation (usually of around 10,000–15,000 words). Study is supported by seminars and lectures. Assessment may be by coursework as well as by written examination papers and dissertation. Some course elements may be common with Master of Philosophy (MPhil) course and it is possible in some cases to form the foundation of an application to either the related MPhil or DPhil. These degrees are generally offered in Science or Social Science subjects and typically require students to undertake one year of full-time study. The exact composition of the degree will vary according to the course, but will often comprise a range of core and optional modules, supported by teaching in the form of lectures and seminars. Assessment is by a combination of course assignments (in many cases including a dissertation of around 10,000–15,000 words) and written examinations. Please see the relevant course page for further details about each course. A number of one-year (three-term) diplomas and certificates are available to graduate students. These include the Postgraduate Certificate in Education, which is a teacher training course for graduates that is more commonly referred to as the PGCE. As a student undertaking a research course at Oxford, you will focus on a specific area of research throughout your course, working with an academic supervisor who will oversee your studies. Research students are often trained in specific research skills such as statistical techniques, palaeography, etc. Your supervisor will help you to devise a programme that allows you to realise the full benefits of the resources and intellectual community in Oxford. They will meet with you regularly to stimulate your thinking and provide guidance about how to approach, implement and report on your research. Students in the experimental sciences often collaborate with their supervisor on shared laboratory work in a research team. Oxford’s main doctoral research degree is called a DPhil (our name for the PhD), and usually takes between three and four years to complete. Working closely with an academic supervisor who will oversee your studies, you will focus on a specific research project to produce a thesis that represents a significant and substantial piece of work. You will be assessed on the basis of this thesis and an oral examination called a viva voce. After completing their DPhil, research students frequently pursue academic careers or careers requiring advanced research skills. Transfer of Status: Most DPhil students are initially admitted to the status of Probationer Research Student (PRS). Within a maximum of six terms as a PRS student (and normally by the fourth term) you will be expected to apply for transfer of status from Probationer Research Student to DPhil status. In some subjects, you might be required to successfully complete one or more master’s papers during your first year before you can apply to transfer to DPhil status. Confirmation of Status: Students who are successful at transfer will also be expected to apply for and gain confirmation of DPhil status, normally within nine terms of admission, to show that your work continues to be on track. Both milestones normally involve an interview with two assessors (other than your supervisor) and therefore provide important experience for the final oral examination. If you're studying on a full-time basis, you will be expected to submit your thesis after three or, at most, four years from the date of admission. Doctoral training programmes are four-year courses providing structured training and research experience in the first year, and a research project leading to a DPhil or DEng in subsequent years. These programmes are referred to as Centres for Doctoral Training (CDTs) and Doctoral Training Partnerships (DTPs). They are supported through links with industry and other partners, including other universities. This degree is awarded on the basis of a submitted thesis and is available in some subject areas that also offer a DPhil. Please see the individual course pages in this section for specific information. The examiners must be satisfied that the thesis shows competence in investigating the chosen topic and that the results have been presented in a lucid and scholarly manner. A satisfactory oral examination is also required. Students will normally initially hold the status of Probationer Research Student and will be expected to apply to transfer to MSc status during the first year of their research. Combined Master of Science (MSc) and Doctor of Philosophy (DPhil) programmes are four year courses that comprise a one-year taught MSc by coursework (see taught courses) followed by a three-year research project leading to a DPhil. These course arrangements are often referred to as 1+3 programmes. By applying for a 1+3 programme, your application will automatically be considered for both the one-year taught MSc and the DPhil. Progression to the DPhil requires successful completion of the MSc. These programmes are special course arrangements and the constituent MSc and DPhil elements are not always offered separately as stand-alone courses. The University provides a range of high-quality, flexible, part-time graduate courses, including postgraduate certificates and diplomas, taught master’s degrees and doctoral degrees in a number of disciplines. Studying for an Oxford qualification on a part-time basis can be exhilarating and challenging but also demanding, particularly if you have to balance the demands of home, family and work with your course requirements. Our part-time courses have been designed with the needs of students at different life and career stages in mind, while at the same time offering the opportunity for an intense educational experience. For information about admission to the pre-clinical stage of medical training, please see the accelerated course details on the Medical Sciences Division website. For information about admission to the clinical stage please contact the Medical School via enquiries@medsci.ox.ac.uk. Oxford has been a place of training for the Christian ministry since the origins of the University. Today, the Faculty of Theology and Religion and the Department for Continuing Education continue this long tradition by offering a range of degree and vocational courses. The training for ministry information provided on the Faculty of Theology and Religion website outlines the full range of courses that are offered by both departments. 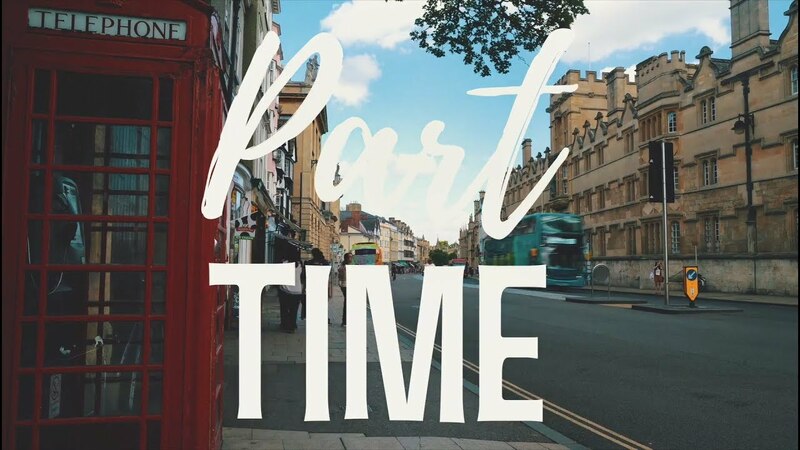 The Department for Continuing Education offers part-time DPhil programmes in a number of specific subjects but also admits doctoral students in other areas where it can provide appropriate supervision and research training. Such students are admitted to the DPhil in Continuing Education programme. The designation ‘Continuing Education' is used for administrative purposes, and does not affect subject content or appear on the degree certificate. Admissions are arranged on an exceptional basis under the University's Education Committee. They are otherwise governed in all aspects under the standard part-time DPhil regulations. Please see the department's website for further details. This three-year full-time course validated by the University confers eligibility for Chartered status as a professionally qualified clinical psychologist. All trainees are currently employed by the Oxfordshire Mental Healthcare NHS Trust and are members of Harris Manchester College. The course is unique in being fully funded and run from within the NHS. The course aims to provide a thorough and integrated academic, clinical and research training in clinical psychology. The philosophy of the course stems from both the scientist-practitioner and the reflective practitioner models, and the course is committed to drawing on a wide variety of theoretical orientations which have been demonstrated as contributing to human well-being or to the relief of suffering. For further information see the Oxford Institute of Clinical Psychology Training website. The status of Recognised Student is intended primarily for graduates of some years’ standing engaged in research elsewhere who wish to work in Oxford on a specific topic under the guidance of an academic familiar with the chosen area of study. You spend a period of up to three terms (ie one academic year) at Oxford, associated with an academic department and an academic advisor to offer general guidance on your area of research. You may use University libraries and attend lectures, seminars and classes (subject to permission from your head of department), although Recognised Students status does not provide a formal association with an Oxford college and will not be awarded a formal qualification or accreditation by Oxford. The first step in applying for Recognised Student status is to contact the academic department where you would like to be based via the details provided in our individual graduate course pages and request agreement from them, and from a member of their academic staff who is prepared to act as your academic advisor. If you gain approval you will be required to submit an application form, together with a number of supporting documents. Further information can be found on the Recognised Student status page and our Visiting and recognised students fees page. The application form, together with notes of guidance, can be found below. If you are a student from overseas and wish to spend a period of up to three terms (ie one academic year) in Oxford on a course related to the degree you are studying in your own country, you can apply to a college for a place as a Visiting Student. However, it is not possible to join the activities of Oxford's taught graduate courses, so as a Visiting Student you would follow the curriculum from Oxford's undergraduate courses. For further details about Visiting Students and how to apply, please see the information on the undergraduate Visiting Students page. Please note that websites external to the University of Oxford may hold information on our courses. Those websites may contain incomplete and inaccurate information. Please refer to this website which provides the definitive and up-to-date source of information on any graduate courses offered by the University.